In response to the need for job and wealth creation in Northeast Ohio, the region’s civic, community, and philanthropic leaders came together in 2003 and provided the vision and leadership for a solution: a unique partnership between public and private entities charged with creating economic transformation in Northeast Ohio through the growth of an entrepreneurial ecosystem. 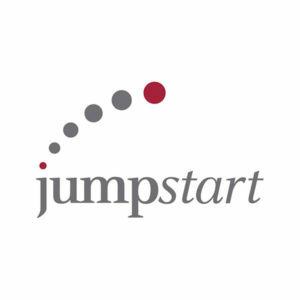 JumpStart provides venture capital and intensive, high-impact assistance to diverse entrepreneurs and small businesses owners, working one-on-one to establish and achieve value-creating milestones of growth. Pat manages the day-to-day operation of the Northeast Ohio Entrepreneurial Signature Program (NEO ESP). 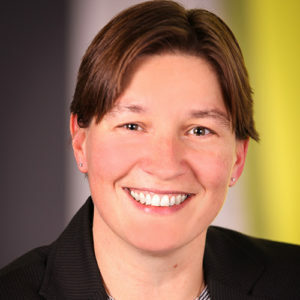 She works with our 13 collaborators across the region to manage the deal flow process, metrics and performance. In addition, she works with regional partners and communities as they embed entrepreneurial activities in their economic development plans—from grassroots events to the implementation of hyper-local investment funds to the creation of an entrepreneurial ecosystem. Pat has over 20 years of working experience, including her work at the Ohio Aerospace Institute (OAI), where she managed several federal, state-funded or self-funded programs which were always multi-disciplinary, multi-organization complex R&D or commercialization projects. Pat is experienced in all phases of program management, including business development, team formation, proposal support, program execution (contract administration, reporting close‐out) and cultivating customer relationships. She received her MBA from Cleveland State University and also holds a Master’s Degree from the Graduate Business School ESC Clermont-Ferrand, France. She is a graduate of Cleveland Bridge Builders, Class of 2012 and now serves on the Cleveland Leadership Center’s Leadership Council as the Chair of the Next Gen Committee.